"I want to be an artist," says Abishai. "You're already an artist," I tell him. 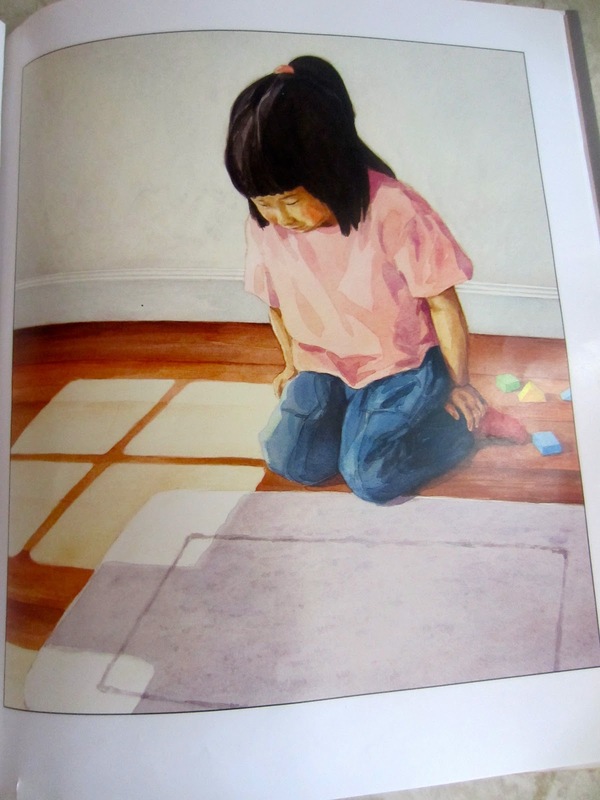 "I want to be an artist like that," he says, pointing to the illustrated picture book shown below. "One day you will be," I tell him, as I pull out the paper, pencils and paints that he asked for. Abishai asked to have Going Lobstering read to him several times. Inspired by it, he drew and painted pictures of boats and lobsters. The paintings from the book look so real on first glance, that I had to take a second look. You learn about the life of a lobsterman and absorb lobster facts as the story goes on. Abishai also showed much interest in Emma's Rug. 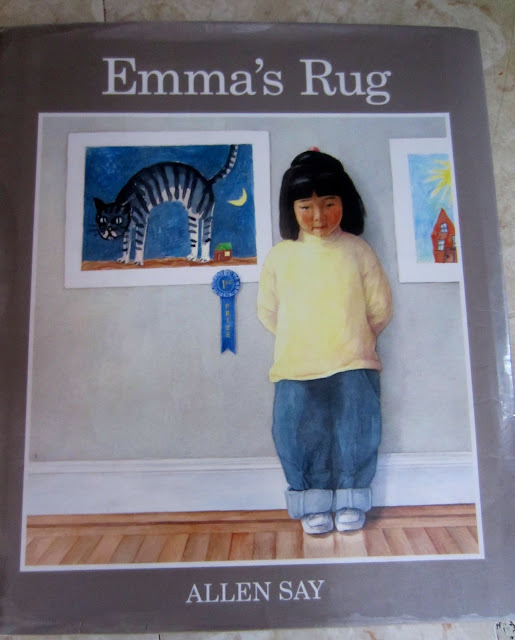 The story's about a young elementary student who finds artistic inspiration from a rug. As a result she paints pictures and wins numerous awards for her art work. Again, Abishai wanted this book read numerous times. Someday Rider appealed to Abishai's imagination, and did NOT lessen his unbearable longing to be a cowboy. A huge heart aching sigh came from him after reading this book. "When can I be a cowboy mommy? Am I big enough to ride a horse yet?" Abishai completely identified with the boy's character from the book. If only we were ranchers. 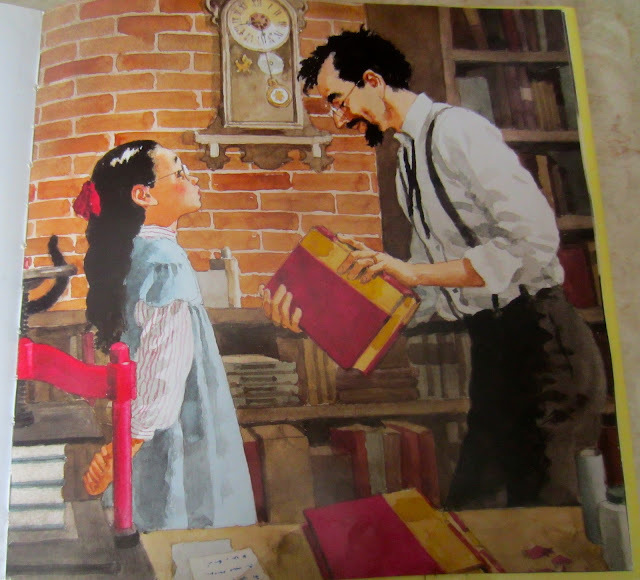 Anna the bookbinder was a great book to teach about excellence in our daily work and being helpful without being asked. There are so many great books out there.